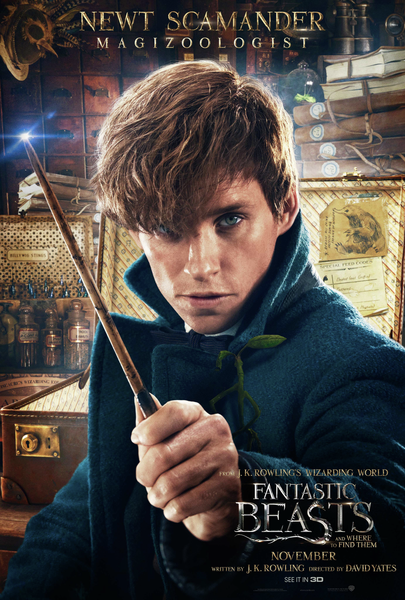 The character posters of Warner Bros. Pictures' new fantasy adventure “Fantastic Beasts and Where to Find Them” have just debuted online, allowing fans to get to know the new heroes and villains much better. 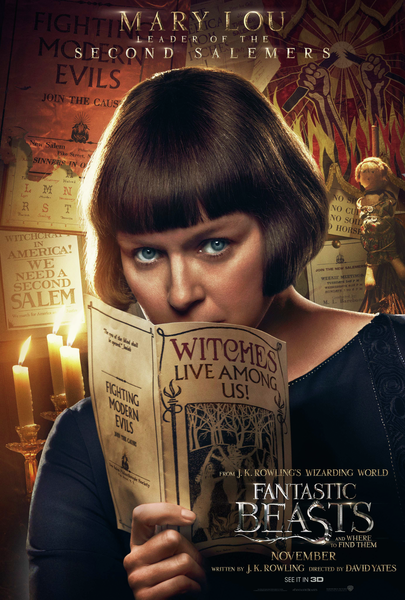 To go with the one-sheets, below are the official character descriptions provided by Warner Bros.
Tina (short for Porpentina) Goldstein is a smart and determined witch who lives in New York and works for MACUSA (Magical Congress of the United States of America). She was once an Auror but was demoted to a menial desk job after overstepping her duties when her heart overruled her head and she used unauthorized magic. 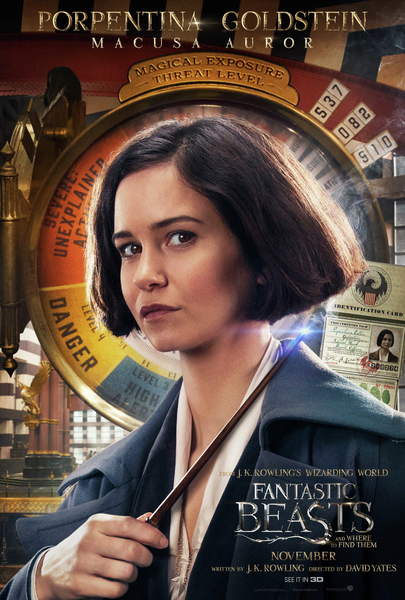 She wants desperately to regain her status as an investigator, which puts her directly in the path of a visiting wizard named Newt Scamander. Tina is very close to her younger sister and roommate, Queenie. 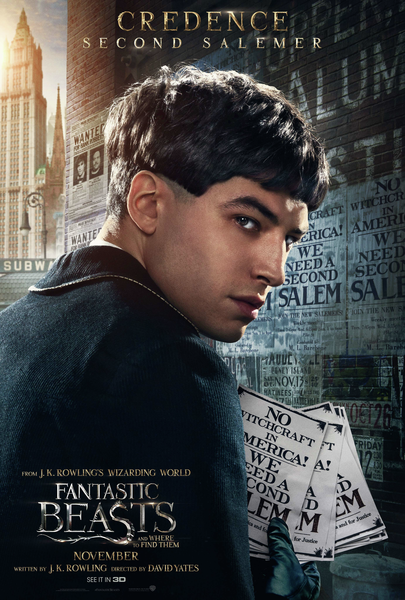 Percival Graves is an Auror and the Director of Magical Security at MACUSA, making him one of its highest-ranking and most respected officials. 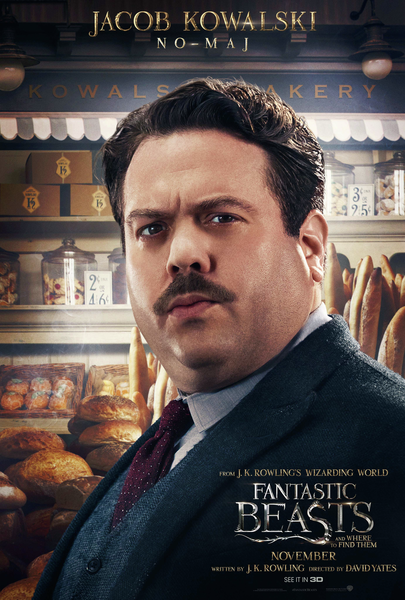 When Graves discovers that Newt Scamander has made an unauthorized trip to New York with a case filled with forbidden magical creatures, he is very suspicious of his intentions and concerned about the potential to break the American wizarding world’s most important law: the Statute of Secrecy. Graves seems to demonstrate care and compassion to the young and particularly vulnerable Credence Barebone. But to what end? Seraphina Picquery is the President of the Magical Congress of the United States of America (MACUSA). 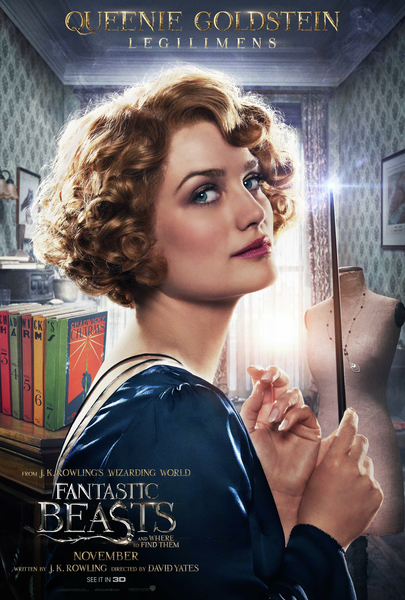 She strictly enforces the Statute of Secrecy—meant to protect the hidden American wizarding community from No-Majs. However, mysterious events are now threatening to expose them, which President Picquery fears could lead to war. 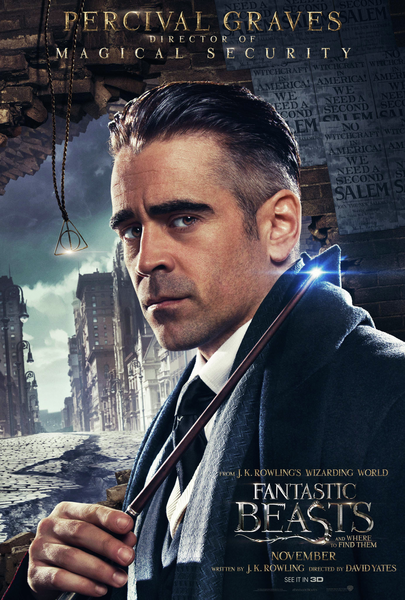 The arrival of Newt Scamander, with his case full of forbidden magical beasts, only complicates matters, and she directs MACUSA’s Director of Magical Security, Percival Graves, to deal with it. 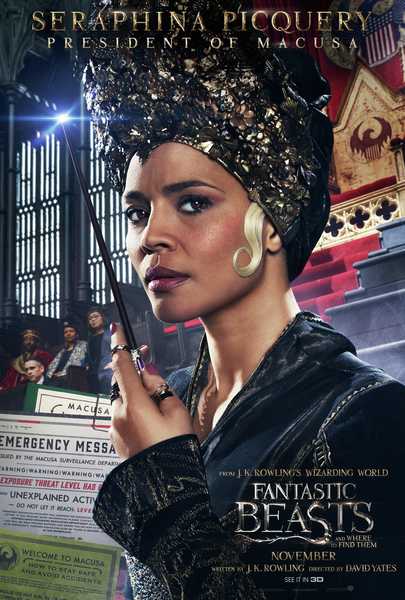 A graduate of America’s Ilvermorny School of Witchcraft and Wizardry, Seraphina revealed her promise early in life when she became one of the extremely rare students to be offered a place in all four houses of the school. She chose Horned Serpent. 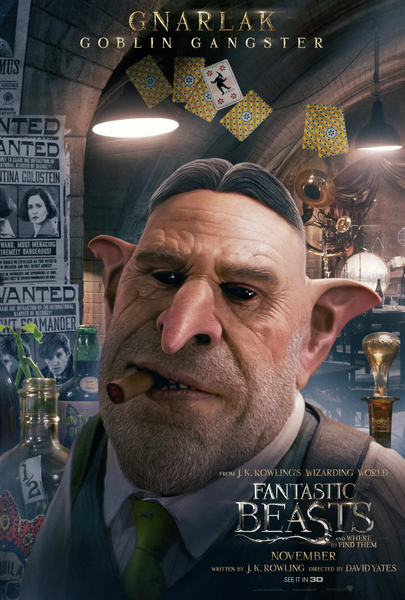 Gnarlak is a Goblin who owns The Blind Pig, an underground speakeasy that caters to certain elements of the wizarding community in Prohibition-era New York. He is a rather shady character, whose questionable loyalties can easily be bought, and who will double cross anyone…for the right price.